Having dropped all my current articles, this post is intended to sum it all up. 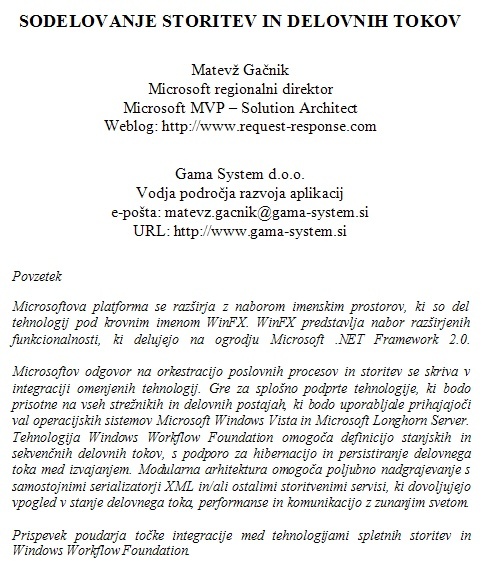 Last article discusses service-workflow cooperation options in WinFX and dives into communication scenarios for Windows Workflow Foundation. 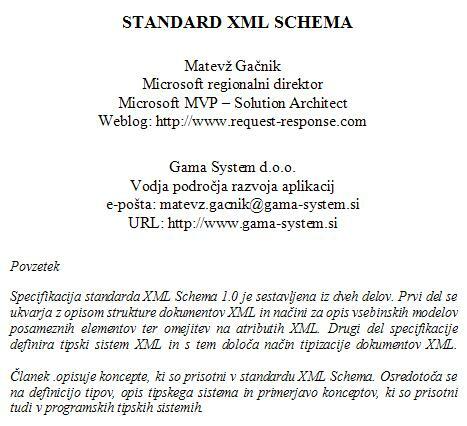 Next article in XML series is discussing XML Schema. This is a two part article. 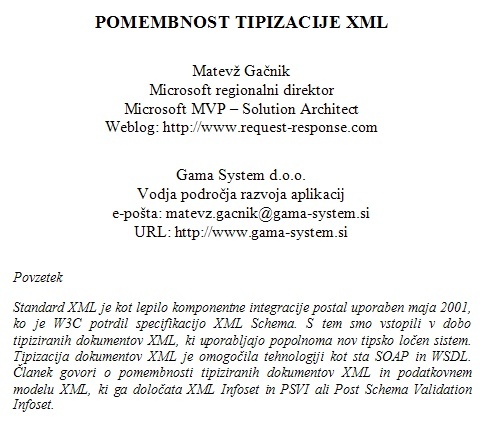 Next article in XML series is discussing XML Namespaces and PSVI problems. 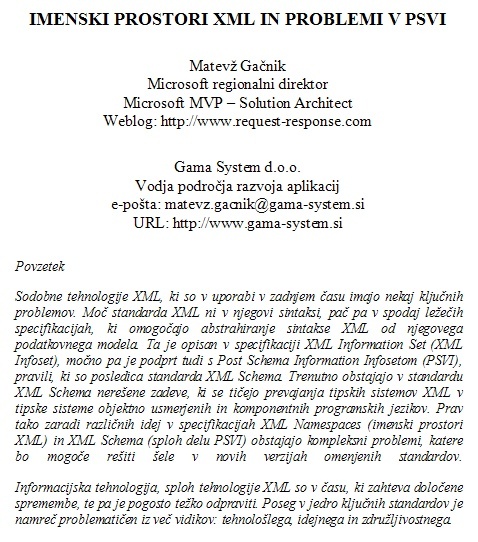 This article is starting the XML series. 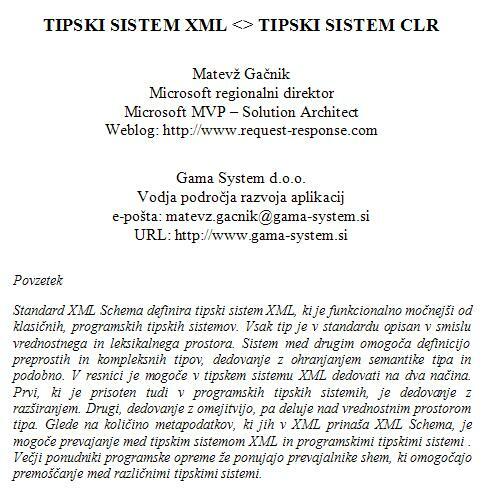 First we dive into XML typization importance and XML Infoset. I'm going to publish a series of my articles, which went out the door a couple of months ago. All articles are in Slovene language.